Surrey, BC – March 12th, 2019 – Trotman Auto Group (TAG), has been recognized for overall business performance and sustained growth with the prestigious Canada’s Best Managed Companies designation for their 2nd year in a row. The 2019 Best Managed program award winners are amongst the best in class of Canadian owned and managed companies with revenues over $15 million demonstrating strategy, capability and commitment to achieve sustainable growth. Now in its 26th year, Canada’s Best Managed Companies is one of the country’s leading business awards program recognizing Canadian-owned and managed companies for innovative, world class business practices. Every year, hundreds of entrepreneurial companies compete for this designation in a rigorous and independent process that evaluates the caliber of their management abilities and practices. Trotman Auto Group’s focus on culture and people development continues to drive its growth. “Our team is committed to continuous improvement and that discipline fuels our innovation throughout the company,” said TAG CEO, Mike Trotman. 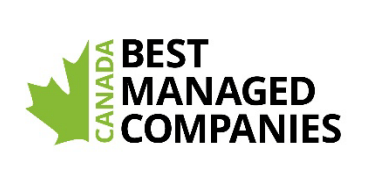 2019 winners of the Canada’s Best Managed Companies award will be honoured at the annual Canada’s Best Managed Companies gala in Toronto on April 17, 2019. On the same date, the Best Managed symposium will address leading-edge business issues that are key to the success of today’s business leaders. The Best Managed program is sponsored by Deloitte Private, CIBC, Canadian Business, Smith School of Business, and TMX Group. Trotman Auto Group (TAG), led by Mike, Mitch and Brad Trotman, owns and operates 11 full service automotive dealerships across the Lower Mainland, Fraser Valley, Kootenays and Vancouver Island. TAG has grown from a single point, mid-sized Chrysler dealership to a multi-brand, nationally recognized industry leader and one of the most innovative dealer groups in Canada, employing over 550 team members. Our vision of living our values “OUT LOUD” every day, every interaction and with every person creates a vibrant culture, an engaged team and an exceptional employment and guest experience. TAG is the recipient of the 2016 CADA Laureate Award and proud to be named one of Canada’s Best Managed Companies. To learn more about the Trotman Auto Group story, click here.